UltraFast T1 Wireless has coupled its experienced wireless network operations team with the technical expertise of world-renowned firms to craft the most compelling Internet access offering to date. Every component of UltraFast T1 Wirelesss network combines to further the goal of providing cost-effective, robust and reliable broadband carrier services. Our supporting internet infrastructure was actually born in 1997. As such our team has had time to develop features not found in others, not even in large name companies. For example our wireless package comes with free dial up access for backup and travelling. 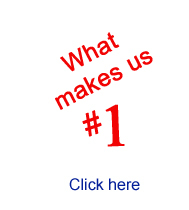 We offer free web based email, reduced pricing on web hosting and creation. Every web site comes with free ftp access and free unlimited email. Our infastructure brags a fiber optic feed from Front St in Toronto for highest uptime. We have a custom engineered, backup main router, just waiting to be needed. All email is backed up hourly on a separate server that can be pressed into service in the event of failure. We have 4 name servers. Our experienced tech's can solve any problem and response time to any issue is usually immediate as we have 4 full time techs on hand daily during business hours. 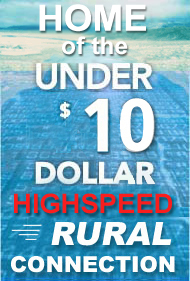 UltraFast T1 Wireless offers high-speed Internet access at less than 1/4 the cost-per-mbps of wireline options. With an order-to-installation of just 3 business days in most cases. In fact, our current average is just 2 days. UltraFast T1 Wireless boasts 99% network availability - that's an average of less than 5 minutes of downtime a day. Because of our low subscriber density, we deliver your full data rate 80% of the time. Although we're wireless, our service is unaffected by rain or fog. And should anything go awry, we offer same day on-site tech response. Thanks to special technology, UltraFast T1 Wireless's over-the-air signal is secure against eavesdropping by unauthorized parties. Moreover, we can provide encryption for those subscribers who deal with sensitive information. We also support standard VPN and firewall solutions. Ready to upgrade your data rate from Unreliable Dialup access? Or just want to start your new business on the strongest footing? Then get your wireless connection from UltraFast T1 Wireless. Full data speed 10x faster than dialup and your phone line is free. Competitive pricing to in-town wirelines. From our Home Office to our Bell Killer plan, our Ultralite starts at $29.95 per month (computer equipment upgrade will be needed) and Business plans starts at just $99.00 per month. Want Internet redundancy for free? Want a back-up solution that'll be up-and-running when a hiccup or lightning takes down all of your wireless feed? Then get the Proxy Server from UltraFast T1 Wireless. With a proxy server, your service stays connected to the Internet 24/7,the proxy redundant dialup lying dormant until you need it. The minute your wireless service goes down, it can re-route your Internet traffic over an external modem. Once a packet is sent over our network, you open up a 25 minute usage window. The same user name and passwd can be used from your notebook when you travel eliminating the need for another ISP account. Utilizing the latest hi performance Anik2 Satellite, Xplornet is one of the fastest internet connections available to the public. With capacity 1000's of times more than before, more capacity than all other satellites combined. Expensive cutting edge receivers are used to make sure your internet experience is second to none. 2.4-GHz spectrum. This license-free spectrum offers an optimal balance between coverage, speed and cost for small to medium businesses. We couple it with an enhanced variant of the 802.11b/g broadband spec to provide carrier class reliability, low latency and cost-effective hardware. Frequency agility. Our design philosophy offers the frequency agility to utilize nearby 5.2 to 5.8-GHz bands to ensure we can deliver even greater bandwidth and satisfy subscriber broadband requirements far into the future. The diagram below is a sample of how it works but is not entirely accurate as our architecture has changed substantially since the web site was built.....our ranges our greater and more frequencies are available etc. Spectrum flexibility. UltraFast T1 Wireless currently operates in the 2.4Ghz, 5.2Ghz, 5.8Ghz and 900Mhz as needed, spectrums, but its architecture maintains the frequency agility to easily migrate to other nearby RF spectrums. The use of multiple frequency bands and equipment has enabled UltraFast T1 Wireless to scale its infrastructure in direct relation to subscriber growth without being limited by spectrum constraintsand signal crowding concernsof a single unlicensed band. Secure RF environment. By utilizing direct sequence spread spectrum, adaptive polling algorithms and Radius authorization, UltraFast T1 Wirelesss over-the-air signal is secure against eavesdropping by unauthorized parties. Enhanced security. We can provide three types of encryption for those subscribers who deal with sensitive information. We also support standard VPN and firewall solutions. Less than 20-millisecond latency. Our architecture reduces the latency of network traffic. Moreover, UltraFast T1 Wireless subscribers are only 1 fiberized hop from the Internet source, further reducing data delay. This provides noticeable performance increases in ASP-hosted and two-way messaging applications and will optimize the user experience with future VoIP. 10:1 cost advantages. UltraFast T1 Wirelesss low-cost infrastructure gives us a competitive advantage. For starters, we leverage hi tech wireless equipment and optimized it purely for bandwidth. Using our extensive wireless and networking integration experience, we take advantage of the best-of-breed, off-the-shelf hardware and integrate it ourselves, which can yield as much as a 10:1 cost advantage. Lower network loading. Our low cost infrastructure and network design implementation enables us to maintain lower subscriber density rates than many shared broadband service providers. That means more capacity per user. So as the number of subscribers increase, current customers wont see any degradation in performance. We have seen most existing ISP's overselling their bandwidth and putting too many subcribers on each sector. In a bid to increase revenue, they have taken to marketing large use packages which offers no protection against overloading due to peak useage. We have the tightest controls in the industry thereby avoiding the system from bogging down.